Ace Hardware, the nationally renowned, locally owned hardware store has an amazing Rewards program that you can avail when you buy products from their store, either online or any of the participating Ace Hardware retail stores. 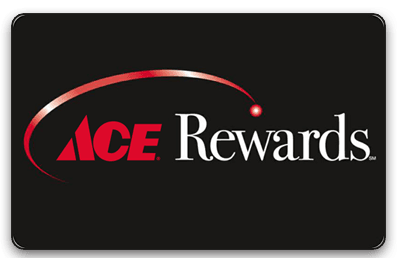 Committed to being ‘the Helpful Place’, by offering quality products, top-notch service and knowledgeable guidance, Ace Hardware’s Ace Rewards Card gives you great benefits and you do not need to pay anything to participate in the program. How can you enroll in the program? Online: by completing the Program enrollment process, for which you need to have a pre-existing Ace Hardware online account. If you don’t have an account, open one by completing the Ace Hardware Account enrollment process. (Please note, the online enrollment program not available for the residents of Puerto Rico). Once enrolled for the Ace Rewards program, you may or may not receive a card from Ace. To participate in the same or take advantage of the program’s benefits, having a card is not mandatory. on the site, you must have an Ace Hardware Account linked to your Program Account (“Linked Ace Hardware Account”) at the time of purchase. at a Participating Retailer, you must present your Program Card or the phone number associated with your Program Account at the time of purchase. Points will typically appear in your account within five business days of your qualifying purchase. Points do not expire and unused Points will remain in your Program Account until you reach the minimum number of Points needed to receive a Reward. Rewards expire on the last day of the fourth month following the month in which they are processed. The points of rewards do not have any cash value and cannot be exchanged for cash. They do not have any value outside of the program. For any help required, you can contact Ace Hardware’s customer service team.